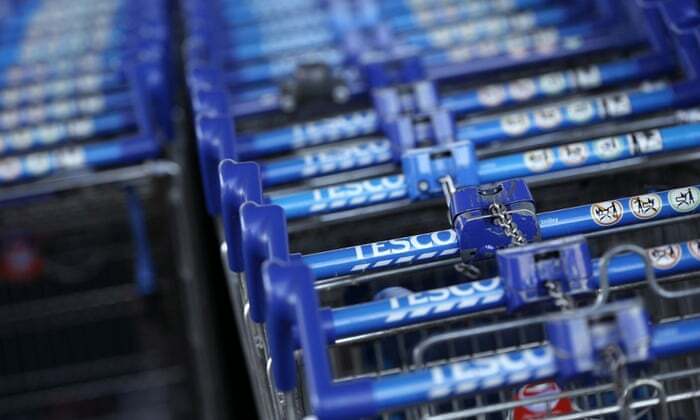 Tesco is to lose two more non-executive directors, including the head of the retailer’s audit committee, Ken Hanna, in the latest move in the board overhaul that began after last year’s £263m accounting scandal. The long-anticipated exit of Hanna, who became chairman of Tesco’s audit committee in October 2012 and has sat on Tesco’s board since 2009, will come at the supermarket’s annual shareholder meeting on 26 June. Stuart Chambers, former chief executive of the glass maker Pilkington who has sat on Tesco’s board since 2010, will step down at the same time. Hanna, a former executive at Cadbury’s, has faced criticism since the accounting scandal, which related to the mis-statement of commercial income from suppliers. In Tesco’s annual report, published last May, months before the scandal came to light, Hanna said the audit committee had examined commercial income as an “area of focus” and concluded that “management operates an appropriate control environment which minimises risks in this area” and it was not a “significant issue”. The £263m scandal, revealed by Tesco’s new chief executive Dave Lewis shortly after his arrival in September, is the subject of investigations by the Serious Fraud Office, the Financial Reporting Council and the grocery market watchdog. Hanna will be replaced as head of Tesco’s audit committee by Byron Grote, a former BP finance director who joined the retailer’s board this month. The latest two departures follow the exit of Patrick Cescau, Liv Garfield and Jacqueline Tammenoms Bakker, who have all left the business since Tesco appointed John Allan as chairman in February. Allan thanked Hanna and Chambers for their “loyal and valuable contributions to Tesco”. A former chairman of electrical goods retailer Dixons, Allan has been revamping the board after his predecessor, Richard Broadbent, was heavily criticised for overseeing a period in which the former chief executive Philip Clarke was left as the only full-time executive director. At one point last year, Clarke was also the only person on the board with retail experience. The group has undergone a shakeup in the past year, with Clarke and his finance director being replaced. The company hired former Unilever executive Dave Lewis as chief executive and former M&S director Alan Stewart as finance director as it struggles to cope with a grocery market being radically altered by the rise of discounters such as Aldi and Lidl. The company’s longest-serving non-executive is Deanna Oppenheimer, the only woman on Tesco’s board, who joined the company in September 2013. Posted on May 7, 2015, in #retail, #uk. Bookmark the permalink. Leave a comment.